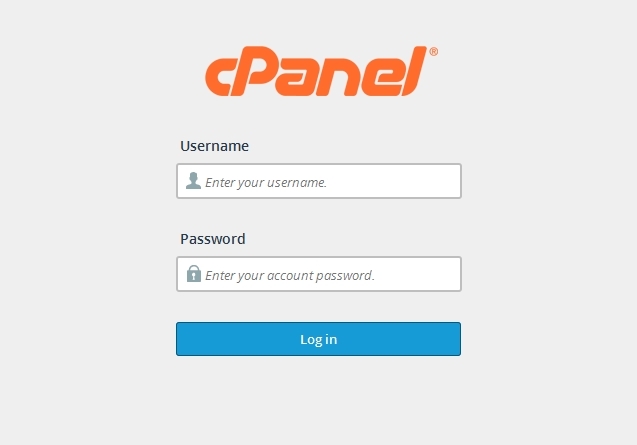 Step 1: Login to your cpanel to create a database. 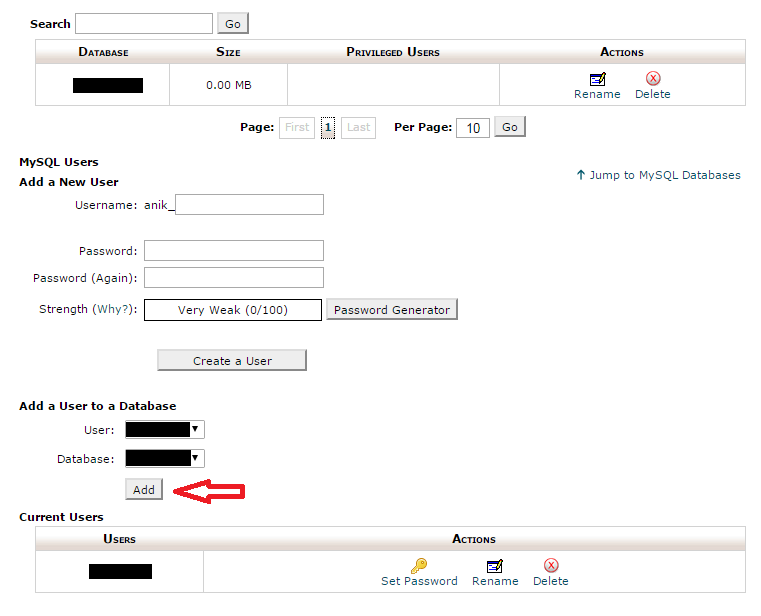 Step 2: Scroll down and find "MySQL Databases", click on it to create databases and users. 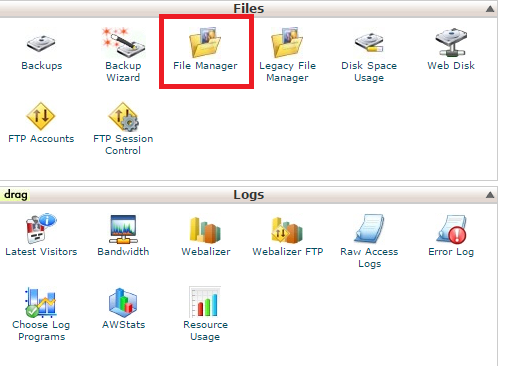 Step 1: Now from the home page of your cpanel find "File manager" to upload the files of your site. 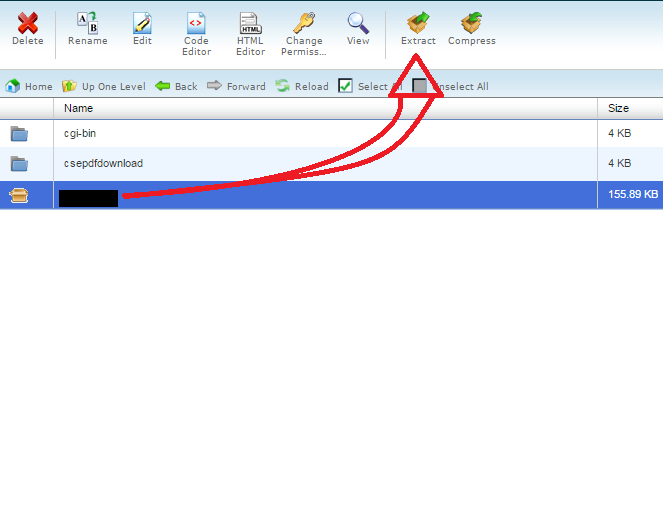 Step 2: An window will pop up,just follow the image below. 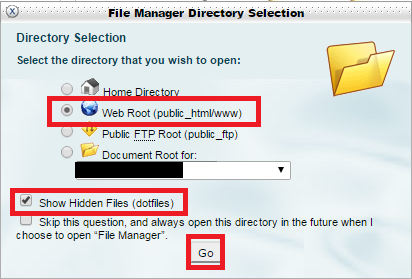 Step 5: An window will pop up selece the directory where you want to extract the files then just click "Extract File(s)". 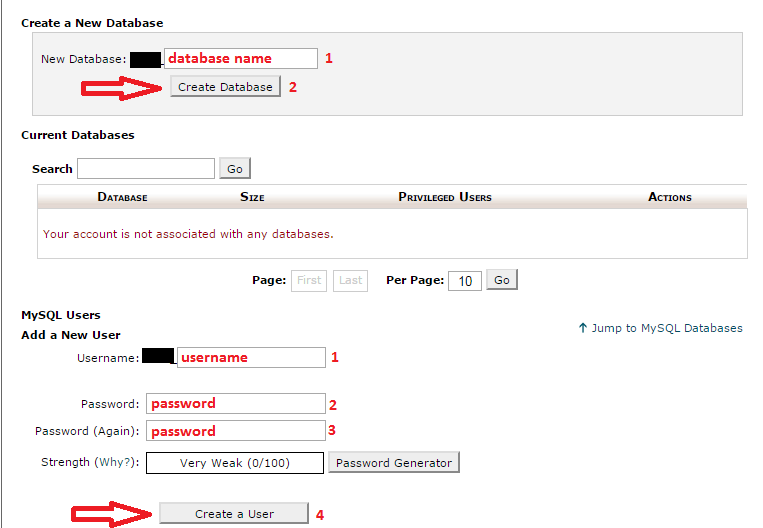 Step 6: Now open the php file you created to connect with your database and change the database name,username and password with the new database,username and password created in step 3. 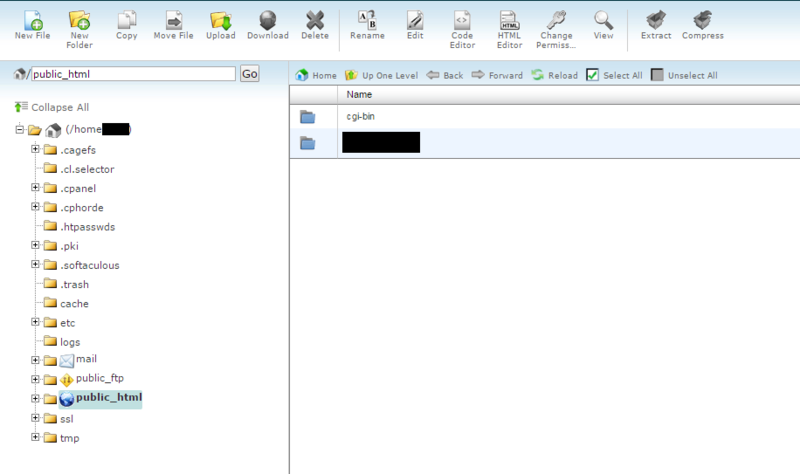 That it!!! 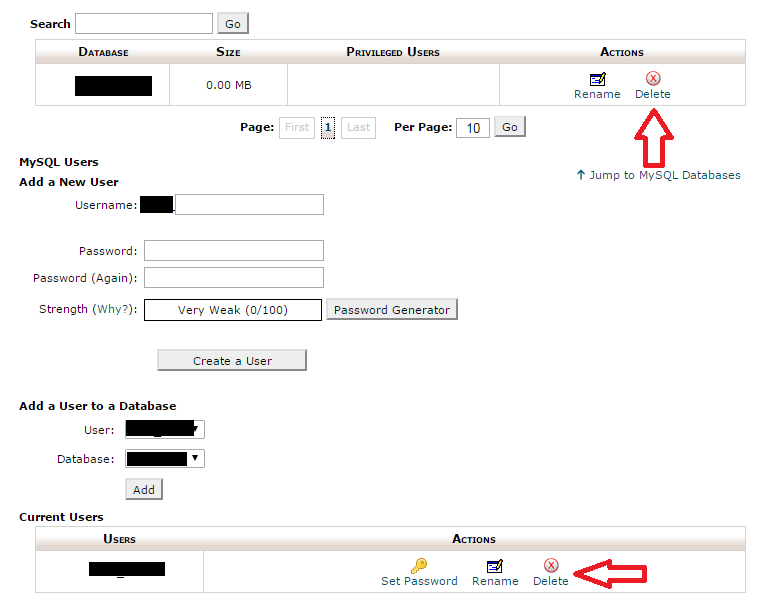 Now visit your site to check. 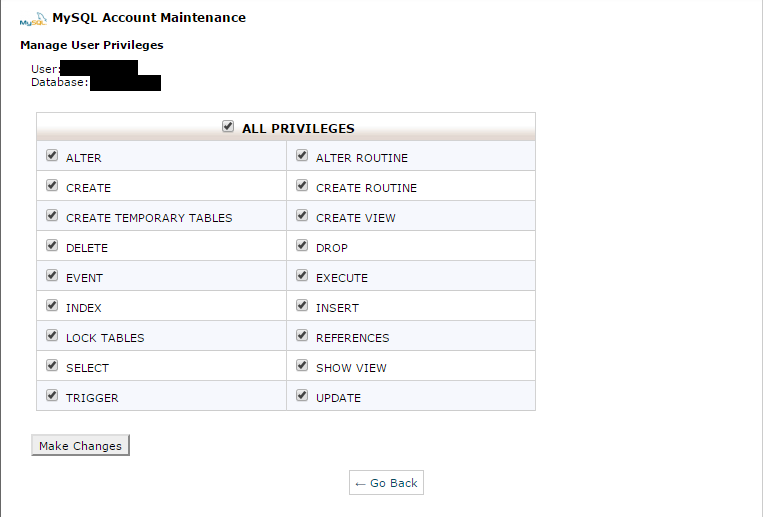 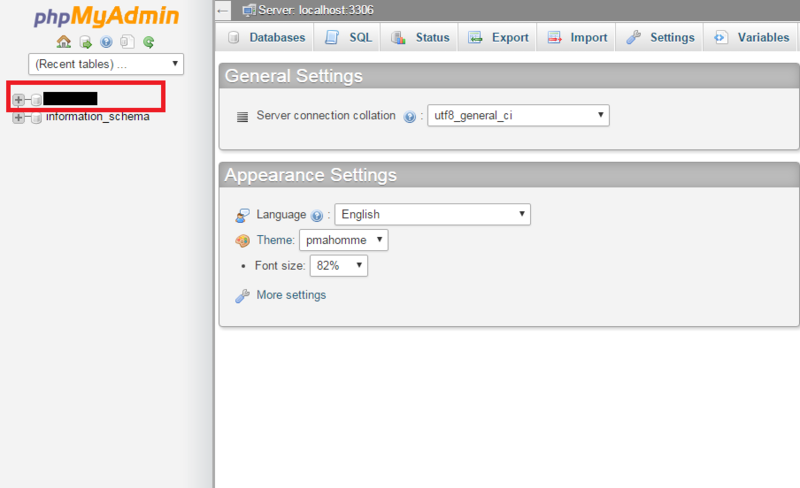 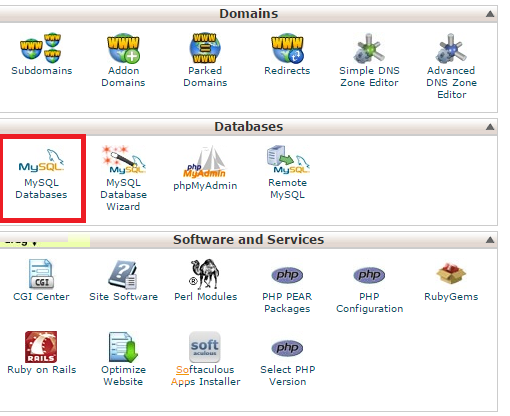 To delete a database and user go to your "MySQL Databases" from your cpanel and follow the image below.